* There is a one-time $250 setup fee for creation of a new Sermon Video Library. 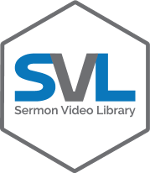 Every Sermon Video Library features our Netflix-like Experience, which shares your sermons on an exceptionally attractive website that encourages views and discourages bounces. Using many of the principles that have made Netflix so popular, we make it very easy for your users to find the content that is most appealing to them. This level of service also includes ‘SEO Booster’ work being performed. This work entails fundamental metadata being generated for each video to help make the videos find-able by Google. Sermon videos that enter your Sermon Video Library can optionally be processed using our SEO Transcription workflow. This SEO work makes your sermons significantly more find-able online when unchurched people search in Google for the topics you’re preaching about, such as Marriage, Parenting, Dating, Friendship, Leadership, Finances, Bible Study, Prayer, and Managing Grief. This is achieved by transcribing the sermon into text, leveraging every word of content the sermon contains. We also perform technical processes in addition to our base ‘SEO Booster’ that creates a more robust set of accompanying metadata. Note that a Sermon Video Library can contain a mix of sermons that have been processed both with and without SEO Transcription. Additionally, sermon videos that are added to the library without SEO Transcription can be upgraded easily at a later time. If your church already has existing transcriptions for your sermon videos, we will use those and offer a reduced rate for the service. There are two ways to get started. Find out more below. Buying now will get our team started on your Sermon Video Library, and it will typically be up and running within two weeks. Most churches get started by buying now because after your initial purchase you can easily choose to add SEO Transcription on selected past sermons. There is no reason to delay because we can easily adjust any aspect of your subscription after your initial purchase. A Free Evaluation is the best way to get started when your church has the budget to perform SEO Transcription on several years worth of past sermons. It’s also a good way to get started if you prefer to talk with us before finalizing your decision. We will provide a customized solution and offer a discount if your sermons are already transcribed. A great way to get started is with the Netflix-like experience for your previous sermons, and SEO Transcription for your new sermons. This gets you up and running fast, and buys more time for you to decide which of your previous sermons you want transcribed.